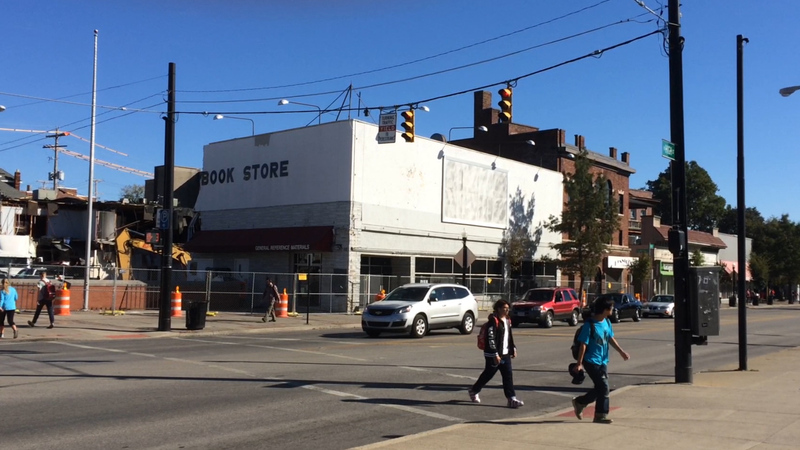 At one level, this is a document of the final hours of Long's Book Store, a victim to both technological change (as books are ordered online or migrate to digital forms) and the pressures of real estate development (as a public-private partnership devours the blocks directly across from the Ohio State campus, nominally in the interest of establishing a new "Arts Corridor"). But the video is also a more general reflection on mortality and ephemerality, resonating with the billboard image of Félix González-Torres's "Untitled (for Parkett)," which was also destroyed with the building. Perhaps paradoxically though, the video also represents and embodies the digital afterlife of those physical artifacts that disappear daily, preserving in electronic amber--for now, at least--these traces of what once was. Shot on an iPhone 5S and originally made to be displayed on an Amazon Kindle e-reader.